Minecraft gifts are one of the biggest things that bring people to this site. I always find it funny, but a few years ago we gathered up some of the most popular Minecraft gift items since our son is a fan, and shared them. Ever since then we found out that they really are a huge traffic source. So, when Best Buy asked us to share about some of their Minecraft gift ideas for the holidays, I knew I would. Of course, we had some great tips to share along with their awesome products, and that created this awesome last minute guide. Minecraft is one of those video games that even parents who don’t like seeing their children playing video games all the time can appreciate. Why? Because this set of games really focuses on a lot of engineering and math skills at the core. From setting up a basic home and village on your own to creating a simple survival setup, it is a great way for your child to learn some basic responsibility. So, as a parent, it’s that one video game you can really enjoy. As a homeschooling parent, these are some of the best Minecraft gifts to invest in to help use in your homeschool classroom. I love that my friend Tara introduced me to homeschooling with Minecraft. Ever since I realized how useful his can be in our classroom, I knew I should use everything I could to keep my son interested in learning, and the tools below definitely help. 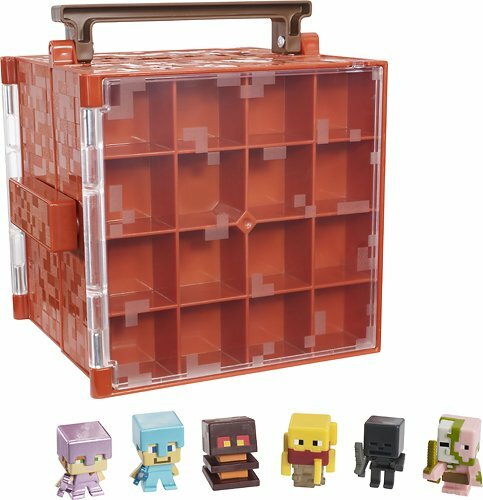 Minecraft Minifigures Collector Case: If your Minecraft fan has a ton of Minifigures, then you know that storage is often an issue. This fun case makes it easy to keep them all together in an easy to move case. I love having them portable. That means kids can carry them not just from room to room, but to grandparents house, to friends homes, or anywhere they want to take and show off their collection. 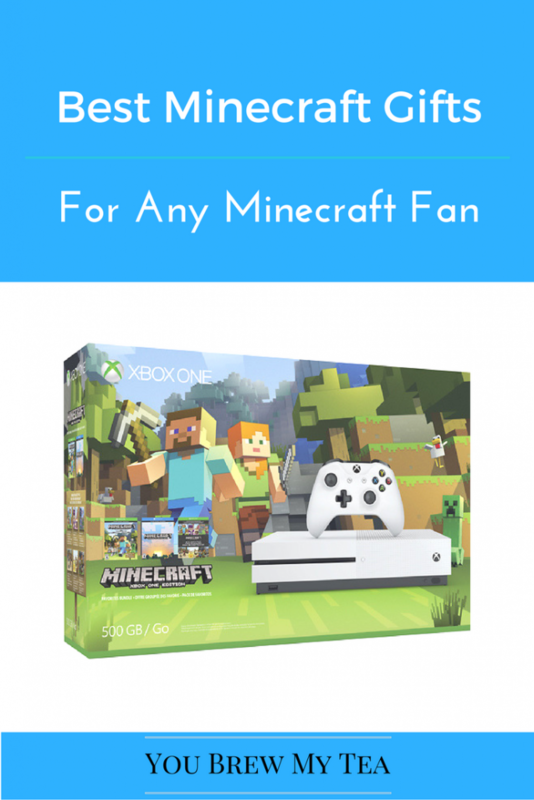 Xbox One S Console Bundle: This updated bundle is the latest and greatest to host not just Minecraft gaming but al of your family gaming. It works for use in your homeschool classroom as well as throughout family game nights and lazy weekends when you want to sleep in and the kids get up to play a few sessions of Minecraft. It’s a great addition under the tree for the holidays or just because. Minecraft Motion Movie Set: This is one of my favorite additions to the Minecraft world since it encourages our son and his love of stop-motion and videography. It’s just another fun addition to his homeschool education, and our play time with Minecraft. I love that this is an affordable option at Best Buy that Minecraft fans would love this year. 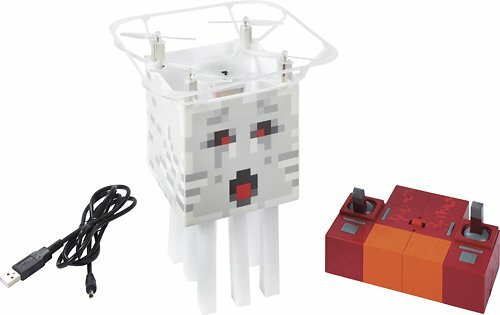 Minecraft Flying Ghast Quadcopter with Remote Controller: I am a huge fan of anything RC, and so is my son. Most Minecraft gifts are going to be tons of fun, but this RC item is the ultimate. Not only does it appeal to the Minecraft and video game lover, it appeals to that RC fan on your list. This year, make sure to check out the great Minecraft gifts at Best Buy for your last minute gifting needs. Your friends and family that are Minecraft fans will love the hot deals available this year!